Sparks Ever After: Today is the Day! It's closing day! It's closing day! It's closing day! In only a matter of hours Steven and I will officially become homeowners! We decided as a way to celebrate the occasion, we would bring pillows and blankets to the new house, order a pizza, pop open a bottle (or three) of champagne, and spend our first night in our new home camped out on the empty living room floor. There will not yet be any furniture, cable, or anything. Just a night spent together marking the occasion of this new chapter in our life. I couldn't be more excited! 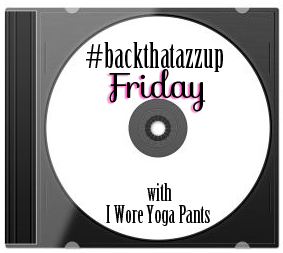 And in honor of our new homeowner status and #backthatazzupfriday I bring you the most appropriate song I could think of. You're welcome. Yay!!! Congrats on your new home! Make sure you take a picture of your first meal in your home...you will remember it forever! What are of town did you guys land in? Yay yay!! Congratulations! Have fun tonight!! Congrats! Such a lovely house! YAY! What a fun way to celebrate too!! I love it!! Yayeeeee... Way to go chick. You so deserve it. I know you are stoked. Heck I just shed a tear of joy for you girl. What a great way to start off and making great memories too. Awesome girl. Congrats on becoming a homeowner! That is amazing! Yay!! Congrats!! We sign either Wednesday or Thursday!! Might copy you with the camping out thing that is just too cute!! What a great idea! !